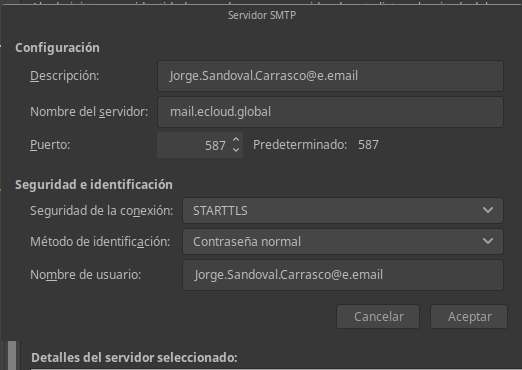 Hi, no matter what email client I use they all fail at connecting to the outgoing SMTP server and I was hoping someone could help me out here. Thunderbird does it right @cooperdooper only with the mail address and your password. On your device you can try mymail. 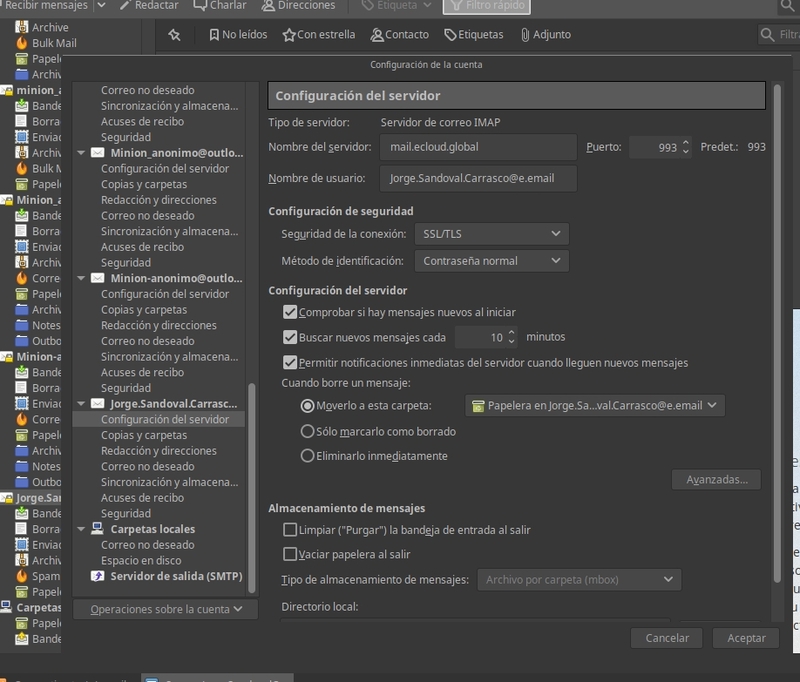 Ok so interesting that it worked with thunderbird. 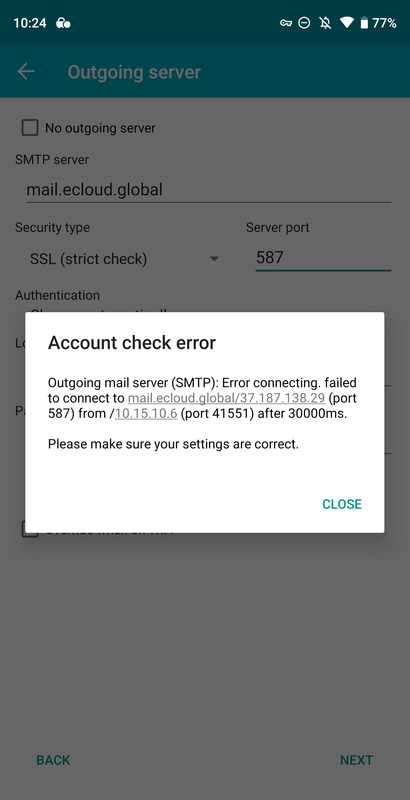 All other mail clients I’ve tried have failed to connect to the SMTP server. 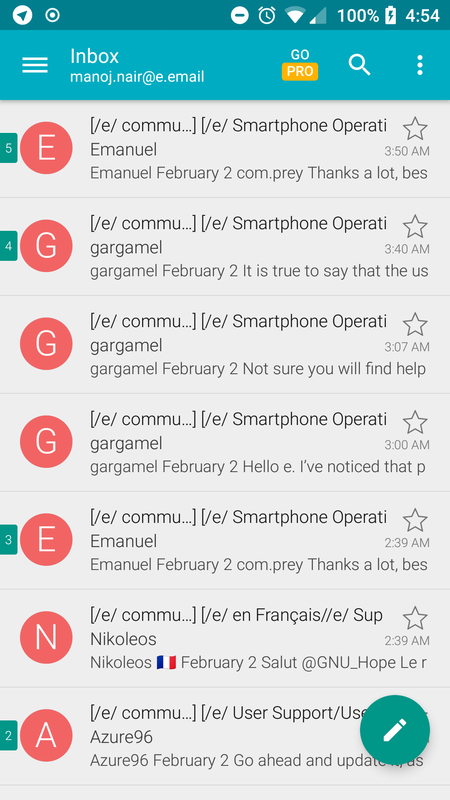 For example, here’s what happens when I try to connect via AquaMail on my android phone. When you register your mail thunderbird DOES the default configuration for you. I’ve tried literally every option for the security (SSL, STARTRLS, etc) and nothing works, which is odd since AquaMail also will automatically detect configuration so I shouldn’t even need to be messing with the configuration. STARTTLS with plain password doesn’t work? 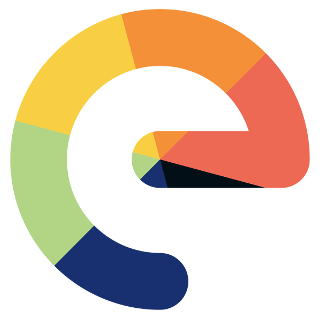 Did you try with other mail client, anyone? 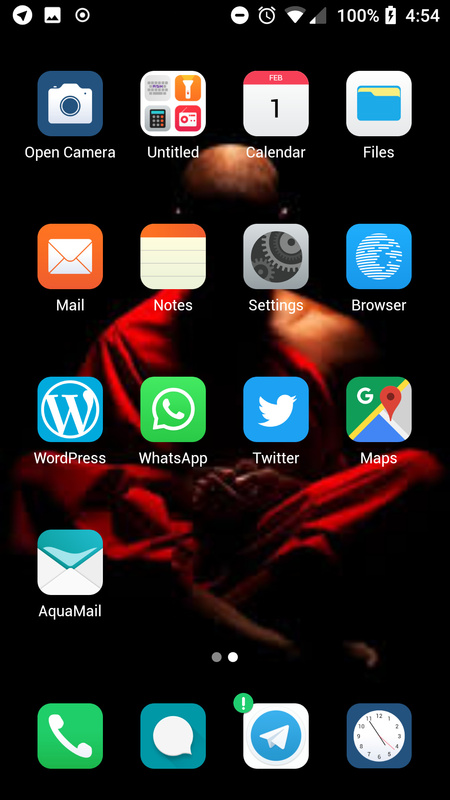 I installed Aquamail for android on my /e/ ROM - downloaded it as an apk from apkpure and with only the username and password it works. I did not make any changes in the settings.